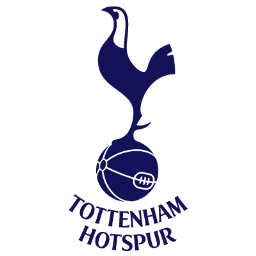 Premier League Preview for Tottenham Hotspur v Everton along with Predictions for the matches on week 32 of the EPL. Follow up each match with results and video highlights posted later in the week. You can also check out the weekly EPL TV Schedule. I’m picking this to be one of the biggest matches of the weekend. Both teams are in need of wins to keep their places in the Premier League table. Tottenham are desperate to finish in the top three while Everton still have some hope of catching Arsenal for the Europa League place. In their last 10 matches both teams’ EPL form is the same at 5-3-2. They also both have two losses coming in their last 5 games. Tottenham have typically played a high line with pressure put on the opposition throughout the pitch. Everton do have the players out there that can break up this tactic with quick players like Steven Pienaar as well as having Marouane Fellaini in the middle who is big enough to hold off Spurs midfielders if needed. Both teams are likely to be without their number one keepers as well as missing strikers in Kevin Mirallas for Everton and Jermain Defoe for Everton. This seems destined to be a match won and lost in midfield. Everton could either attempt to hold onto possession and slow down Tottenham or soak up pressure and counter. I do see them utilizing a combination of these tactics. My prediction is a Tottenham win. I’m not too sure that Everton has a fast enough attack to break through Spurs back line. Tottenham may be tired from Thursday’s Europa League match, but could also be in the mood for a big win in the Premier League. Their home record sits at 8-4-3 with 22 goals scored and 15 allowed. Everton on the road is 4-6-4 with 19 scored and 18 allowed so a draw would be a pretty fair bet in this one as well. UPDATE: After the news that Tottenham will be without Gareth Bale, Aaron Lennon and Jermain Defoe, I am changing my prediction and picking Everton to come out on top as winners. Without Tottenham’s three biggest threats that leaves Clint Dempsey (5 goals), Jan Vertonghen (4 goals) and Emmanueal Adebayor (2 goals) to lead them. I think that gives Everton a fairly clear advantage.